Are you a Film Producer OR Film Financier OR Production Agent interested on Investing on indian Film Industry? For such ones, we here presenting 7 killer thoughts you consider before the investment. Be clear about your purpose for investing the amount of money. If you want to make big profits, then invest in such films that will be accessible to the masses. If you want to act as a patron to an experimental filmmaker you must understand the risk of losing your money for the sake of art. Many of these experimental or offbeat films will make you feel proud as a producer when it wins accolades in various festivals, but they might not be very profitable financially. Hence, you should be clear why you are investing the money and then choose the type of film you want to produce. After you have listened to the ideas of your filmmaker and liked it, you should think about feasibility of the film and estimate a budget you can invest for such a film. 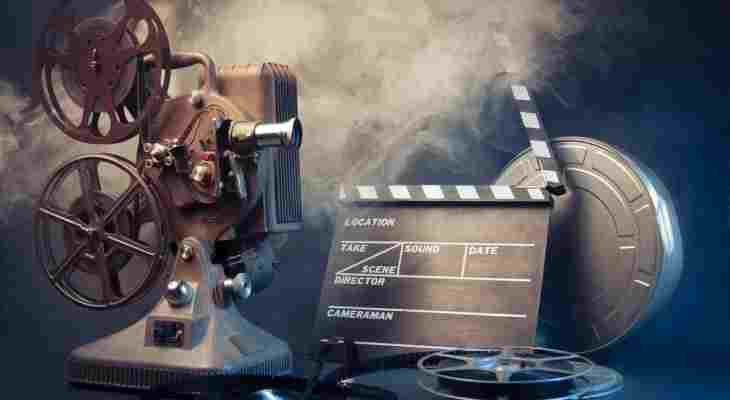 If you are making a commercially viable film with a story that demands high budget, you should invest that amount because otherwise your film will look like a cheap one which will hamper the commercial viability of the film. But, if you are producing an experimental film, you might fix a certain amount that you can risk for a ‘no gain, no loss’ investment. The most difficult job in film production is to make the film within the planned budget. If you do not have control over the production, your budget might get overboard and sometimes the whole project might get stalled due to lack of funds. To avoid this, you must think about how your total budget will be spent and to ensure its proper execution a good production controller should be appointed who will allocate funds for various departments and ensure that they are properly spent. Be it a commercially viable film or an experimental film, a well-known actor can give your film a well-needed boost. Audience generally watches films with known actors. After deciding which audience you want to cater, you must think about the casting of the main roles in your film along with your director. You should think about how you will distribute the film. You can release it in theatres or on the Internet via video platforms like YouTube or Vimeo, or only for festival screenings. You should also make planning on how you will earn money from these platforms and an amount that you are expecting to earn. Based on your distribution platform you can plan a marketing strategy for your film to create a buzz around it. If you are using Internet as a platform, Social Media Ads are great way to promote your film. If you are looking for a theatrical release, TV trailers, Posters and Social Media Ads are necessary. And, if the film is for festival screening only, you may arrange a screening for well-known film critics and get their opinion to promote the film. Investing Films is not exactly a great idea. Recently, I invested in a Short Film. The director said- I will get returns surely. But, the films didn’t seen anywhere except two short film festivals. That’s really a mistaken thing. You can invest in Films and Make money from them. See, the cases of many big hits of Indian Film Industry. According to us there are two factors mainly depending on the returns of movies. 2. The second thing is film must have a strong story that is totally convenient for the current generation. First and foremost, this is not an industry where returns are proportionate to effort. There is absolutely NO guarantee that your product will sell, doesn’t matter how well you make it. So, only invest money you can afford to lose. The great idea, the smart marketing strategy, the low budget, economy, efficiency, all these are mere details. It’s a gamble, and worth it if you are happy to lose money over nine films to make a profit in the tenth. It is just the way it goes. In Prasad Labs in Chennai alone there are more than 3000 unsold, finished feature films! So, if you don’t know this industry, and don’t want to take a gamble, stay away. Short films aren’t worth the paper they’re scribbled upon by 99% of those who fancy themselves as film makers. If you are in love with the medium, by all means, sell your house and invest! Otherwise, no advice is true enough. I had heard in the past that investing in movies could be a good way to support the local art community. You wrote that a person interested in investing should get a good idea of how the project will be executed, and how much time and money it will require. A person would definitely need to know this, as finding a project that matches your budget would be a high priority.